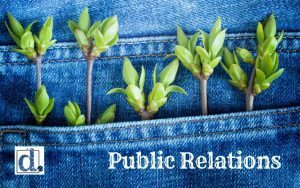 Do you utilize public relations (PR) as part of your marketing strategy? Why or why not? It seems like most companies overlook PR and all the opportunities it can afford their company. I recently wrote, “5 Reasons that Home Builders need PR” for the Lasso CRM blog, but thought we might reach a slightly different audience here on the Denim site, so here goes! The term public relations refers to maintaining the public image of a company, organization or famous person. Public relations agencies and practitioners focus on building brand, creating awareness and maintaining a positive reputation for their clients. They do this by sharing their clients’ positive stories with the media in the form of press releases, pitches, media advisories, press kits, etc. Public relations is also sometimes referred to as media relations or earned media. Home builders often overlook the value of public relations because it is hard to prove return on investment (ROI). Therefore, instead of investing in a strong public relations strategy, they spend lots of advertising dollars instead – often not necessarily measuring results for those either. Companies may think they are not big enough to need PR, or that only companies with a crises or negative situation need PR. The fact is that PR is a way to manage reputation, create brand awareness, generate new business leads, reduce marketing costs and enhance online presence while sharing stories about your home building business. All companies, big and small, have stories to share. 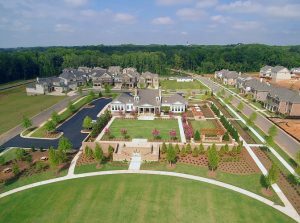 Whether it is a new community, whole house remodel, charitable initiative, new sales agent or a 25th anniversary. Hopefully, by sharing the five reasons that home builders need PR, we will convince a few builders who are not using it to try it. Public relations is a great way to tell your story. The more brand recognition a home builder has, the more likely they are to sell more homes. Think about the nationals and the large local builders in the area and the recognition they garner from their marketing and PR efforts. Many builders have done such a good job of enhancing their brand, that they are a household name. Home builders that establish a strong brand are a step ahead when it comes to reputation management. Having positive stories in print, online and on TV helps improve and maintain reputation. By establishing a positive reputation, home builders better protect their status in case negative news happens – and unfortunately it sometimes does. Strategic public relations provides businesses with a broader footprint. By focusing on media that report news to your target market, leads increase from people who already know who you are and those in the shopping process that never considered buying from your company. Marketing is expensive. Even in today’s online age, getting your company’s name out through all the various outlets is pricey. Saving marketing budget is an added benefit of PR. By integrating PR with other tactics, home builders can take advantage of the synergies between earned, owned and paid media. By creating a marketing strategy that incorporates all of these, you can achieve greater impact at a lower cost than strategies built independently. Both search engine optimization (SEO) and social media can be enhanced with the implementation of a strategic PR program. Articles written by third-parties give tremendous external brand credibility, so make sure to share news coverage to the company’s social media sites. Having stories about the company online enhances its SEO – by the existence of the piece and through the link it creates back to the corporate website. If you are working on your overall marketing strategy and wondering what is missing, chances are it is public relations. 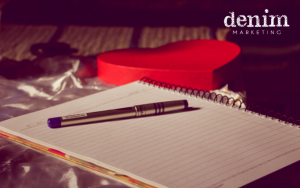 If you’d like to see your name in print, improve your reputation, increase your website traffic or just build brand awareness, contact Denim Marketing! We’d love to help take your media relations and public relations to the next level. Our staff has decades of experience working with reporters and can tell your stories successfully.